Zen Studios has revealed that the uncanny X-Men will be the focus for the second table in their upcoming four-pack for Zen Pinball and Pinball FX 2, Marvel Pinball: Vengeance and Virtue. 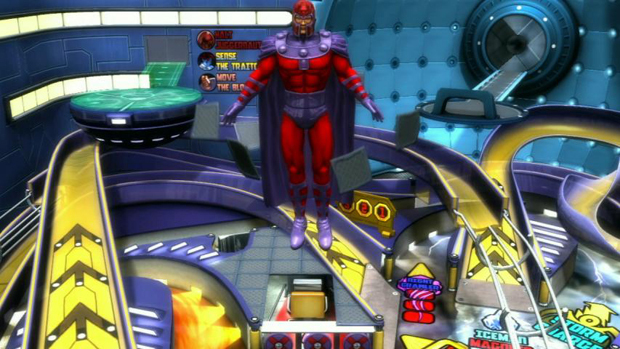 Based around the long-standing feud between Charles Xavier's student heroes and the Brotherhood of Mutants led by Magneto, the table features missions based on events in the comic's history, including the Dark Phoenix Saga. And, of course, there will be the Juggernaut. I could take or leave Ghost Rider, the first table announced for the pack. The property has just never held much interest for me. But I'm going to be all over the X-Men one like Logan on Jean when Scott leaves town. Any guesses on the other two? I'm thinking there may be some Punisher in our future.